:: WE are at the leading edge of human and societal evolution testing our own assumptions and proving theories through living evidenced experiences. 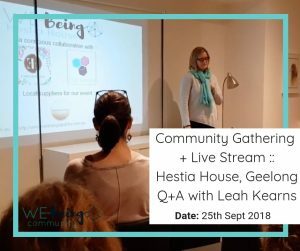 Date :: Wednesday 1st May 2019Time :: 10 am to 1 pmThe Venue :: Private Venue in DonvalePrice:: $33 or $27 if you’re a community member – refer event link inside community for discount coupon!Book Now Our KnowX session is like TedX where it’s about sharing ideas that matter, but we have a cuppa and … Continue reading "KnowX business + well-being Session Melbourne"
Paradigm shifting:: The lines between work and life are getting thinner – lets make business work for us not against us. WE enable you to have a fulfilling business as part of a fulfilling life, working FOR you, around YOUR schedule. :: Freedom to grow strong and spend longer doing what you love. 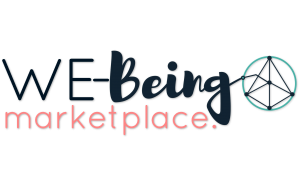 This community marketplace is a place to come to both buy and sell your unique services with like minded individuals. :: WE market your unique skills and products to our shared community with minimal effort for you. 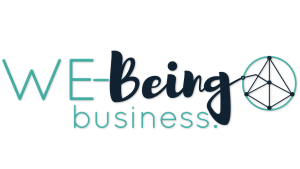 :: WE give you access to find the right products and services for you and your business. 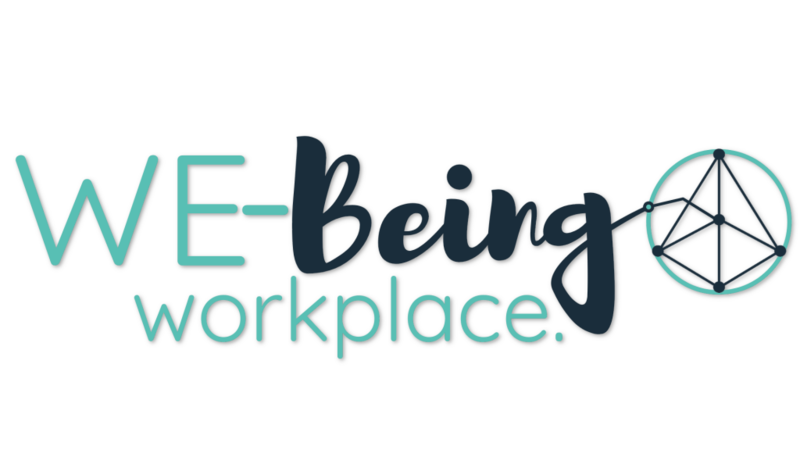 Date :: Monday 3rd December 2018 Time :: 10.30 am to 1.30 pm The Venue :: Private Venue in Donvale Price:: $47 Book Now This event is for you if you want to connect, discover and embody creating a business that you love or be in business in a way that suits you. 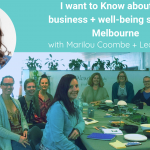 WE come … Continue reading "Community Coworking+Well-Being Round Table :: Melbourne"
Date :: Monday 10th December 2018 Time :: 10.00 am to 1.00 pm The Venue :: Billen Cliffs Community Price:: $47 Book Here This event is for you if you want to connect, discover and embody creating a business that you love or be in business in a way that suits you. 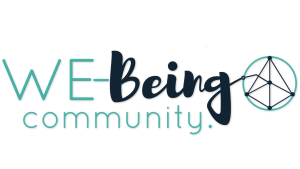 WE come together … Continue reading "Community Coworking+Well-Being Round Table:: Nimbin& Lismore"